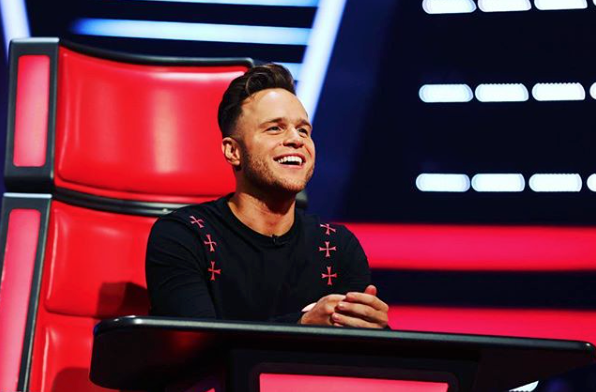 Olly Murs is certainly in the know after a decade in the business. After releasing his sixth studio album, You Know I Know, last November the cheeky chappy is getting ready to hit the road for his arena tour. Olly sat down with Lorne Gillies to chat quiff s, working with Snoop Doggy Dogg and doing an album with… Tom Jones? Your most recent single, Excuses is incredibly emotive. Was this a conscious move to show a more personal side? I suppose it was a conscious move to be more personal. You go through things in your life and you have to be very open and speak about it; with music I have the chance to have a say, tell people a bit about my life, my stories. As a songwriter you get the opportunity to do that and it is nice to lay bare some of the things you think about – hopefully it helps people in their own life. It is also nice to get things off your chest. When you’re writing music, you want to write songs that people can connect with and it’s coming from an honest place. I don’t want to write music that people don’t believe in. You can’t always be happy, sometimes you have bad days and some of the songs I’ve written are coming from an honest place about how I was feeling at that particular moment. Moves, the first single from your new album You Know I Know, was certainly a more upbeat track. And you worked with Snoop Dogg on the song; what was that like? It was amazing to work with Snoop Dogg, and wicked to get him on the track and a part of the song. He was such a cool guy. Is there anyone else you would like to work with musically? I’ve pretty much covered it all: Snoop Doggy Dog, Nile Rogers, I did one with Shaggy – I would probably say, doing something with The Voice coaches would be nice. It would be really cool to do an album together. I’ve been saying it for ages it would be a laugh. That would be a brilliant collab! Tell us, what is it like working on The Voice? Tom (Jones), Jennifer (Hudson), will.i.am and I all get on so well, and we each bring something different and unique to the show. We just have a laugh, it’s great to hear all their stories and find new talent. Even talking about it I can’t help but smile. We’re having another successful year, it’s wicked. Not only do I get to sit there and give them my opinions, speak to people and pick contestants, you also get the opportunity to coach and share your wisdom and knowledge. You certainly have a lot of advice to give. What would you say to people working on their own music? Practice makes perfect, if you want to sing then get out there and sing. Confidence is a big thing! Make sure you’ve got the confidence to get out on stage and perform. I think, for me, I was always quite a confident person but I needed those gigs, the club gigs, because I needed that confidence before I made the big leap in front of Simon Cowell and all the judges on X Factor. You appeared on the 2009 series of X Factor. Now, in 2019 – how do you think you’ve progressed as an artist? I think my quiff has got bigger! It has been an amazing ten years and I can’t complain. I’m just being myself, but I’ve definitely grown as a person and I know the industry now. I’m stronger than I was back in the day; wiser, older, and still an idiot who thinks he’s 25! You released your sixth album last year, so, naturally, it’s time to hit the road. How are you feeling about performing in Glasgow? It’s always amazing to perform in Glasgow. The crowd is so mad, loud, and always there for a party and a good time: I’ve done a lot of shows in Scotland over the years and its always a great, great, atmosphere. What can fans expect from the live shows? They can expect a fun, energetic show. I just want people to come out on each night we do the tour and have a good time – that’s what it’s all about for me. It’s going to be a massive mixture of all the old and new. You Know I Know – being an album with all the hits on it – I want to make sure I sing as much of them as possible. At the same time, I want to sing some of the new tracks for the fans to hear, because they love the new ones, too. Any song that fans should listen to before the show? I would say, for the new album, Feel the Same will get people pumped up for the show. It’s a song I did with Nile Rogers and it is a funky, feel-good track. It’s going to be a busy year! Have you thought about plans for next year? I’ve not got any plans at the moment for the future. I’m not sure what I’m going to do. Having released my sixth album, who knows when the next one will come out. I’ll sit back and see what happens over the next three or four years. I’m going to figure out the next step and see what happens with The Voice! Finally, three words to describe the upcoming tour. Olly will be performing atGlasgow’s SSE Hydro on 3 and 4 May. Have you got your tickets yet? Grab some here!